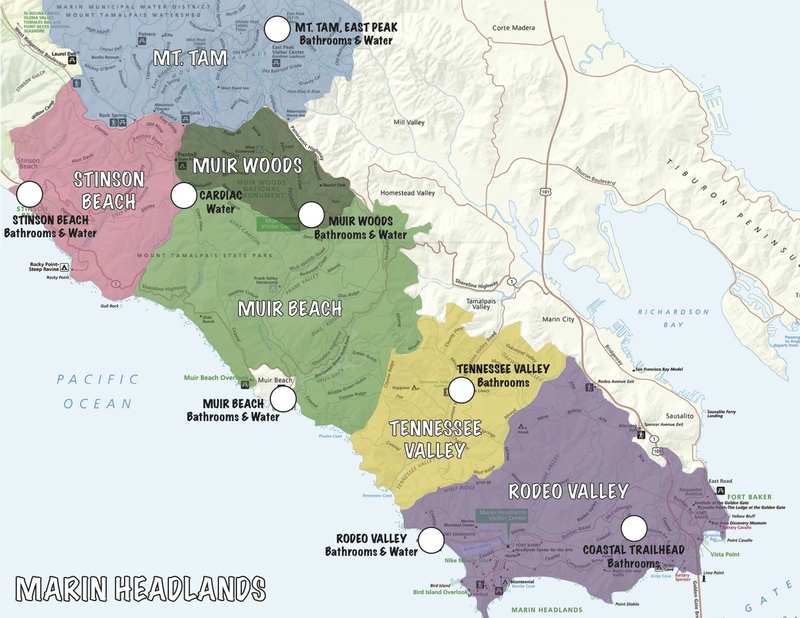 I think of the headlands as several distinct regions. The trail network links all of these together, but they each have their own character, and each has one or two waypoints with parking, restrooms, and water. If you're planning a day hike, I'd recommend staying within one of the sections because they are separated by significant mountain ridges that can sneak up on you, especially when it's warm out. 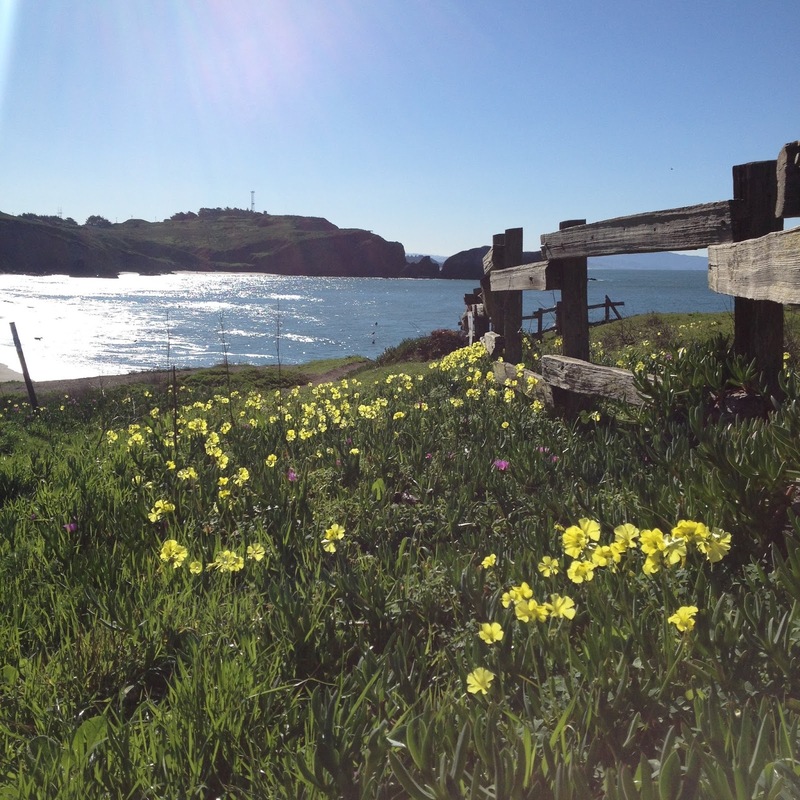 While all of the headlands get busy during peak season, Rodeo Valley is usually the busiest. 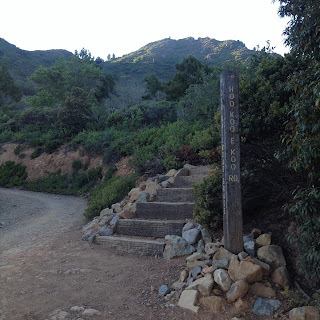 It's the most accessible area from San Francisco and has a lot of beautiful walkable trails. There is a large parking lot, with bathrooms, showers, and water at the beach. SCA Trail runs along the east side of this region - it is a rolling trail with beautiful views. Battery Townsend is on the far west side and climbs up to Wolf Ridge, which separates Rodeo and Tennessee valleys. Look for wildlife, like coyotes, and really cool plants, like fennel fern, along the trails in this area. Looking to TV Beach from Old Springs. This region is nestled between Wolf Ridge on the south and Coyote Ridge on the north. Unless you're walking or running to the beach, be ready to climb. Oakwood Valley provides a shady route up to SCA and through to Rodeo Valley. Marincello is a great, gradual climb that heads south. Coastal Trail heads to the north along the coast - it is a steep climb, but the views are worth it. There is no water in this region. There are restrooms and a dirt parking lot at the Tennessee Valley trailhead. An evening view of Mt. Tam from Coastal Trail heading towards Cardiac. Watch for newts as you head north on Coastal Trail from Tennessee Valley - you'll dip down into Pirate's Cove and climb (gently) up to meet the far side of Coyote Ridge. The newts aren't alone - you'll see lots of cottontail rabbits, deer, coyotes, and seals down along the shoreline. The Muir Beach region has long scenic climbs and numerous ridges - Coyote Ridge on the south, Dias Ridge in the middle, and Cardiac point to the north. Coastal Trail continues through this section - be prepared for a sustained (about 3 mile) climb from Muir Beach up to Cardiac. In the spring, you'll see where Heather Cutoff gets its name - the hillsides are thick with rich purple heather. Several trails converge at Cardiac, including Dipsea. 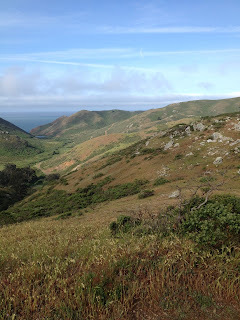 The Muir Beach trailhead is one of my favorite spots to start a run - there are restrooms, water, and plenty of parking. This section gets busy with tourists. But go early in the morning and have the trails to yourself! While it can be hot on the exposed Coastal trail, the huge redwood trees keep this area cool and shady. The trails are soft and super fun to run down from Cardiac or Pantoll - but be prepared to climb out. Lost trail is beautiful and painful - with lots of stairs - and it brings you up to Sun Trail, one of my favs. Running along Matt Davis during the Marin Ultra Challenge. Bathrooms and parking are right on the beach. The trails stay a bit inland, so plan on a little detour to the beach if you need to use the bathrooms or refill your water. Getting out of Stinson involves climbing (sensing a theme here in the headlands?) The trails here are all renown (notorious?) Willow Camp is soul-crushingly steep. 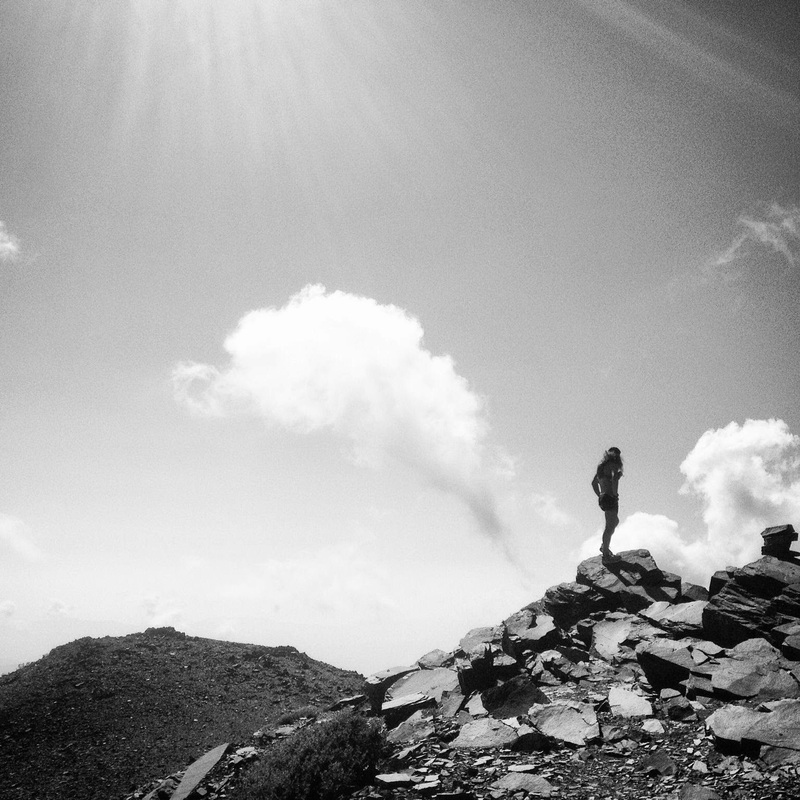 Plan on taking breaks on your way up, unless you're in great shape. Matt Davis is one of the headlands' most beautiful trails. and is mostly flat/rolling. Dipsea is historic - with good reason, but involves ladders and stairs. You'll get a workout wherever you go in this area. Looking towards East Peak from the junction of Old Railroad Grade and Hoo Koo E Koo. Mt. Tam has three peaks - West, Middle, and East. East is the most popular, with bathrooms, water, and parking near the peak. The south side has steeper trails that are usually sunny. The north side has long, grinding trails that are cool and shady. Eldridge is a great northside trail that you can hike up from Natalie Coffin Green park near Lake Phoenix. On the south side, you can hike up from downtown Mill Valley. I hope this helps people new to the area or interested in visiting! If I've made a mistake, please let me know :) Happy trails!